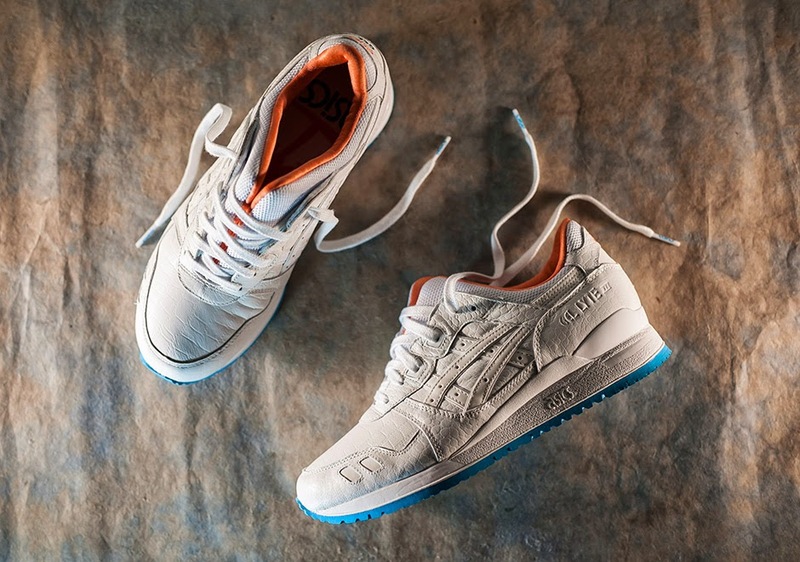 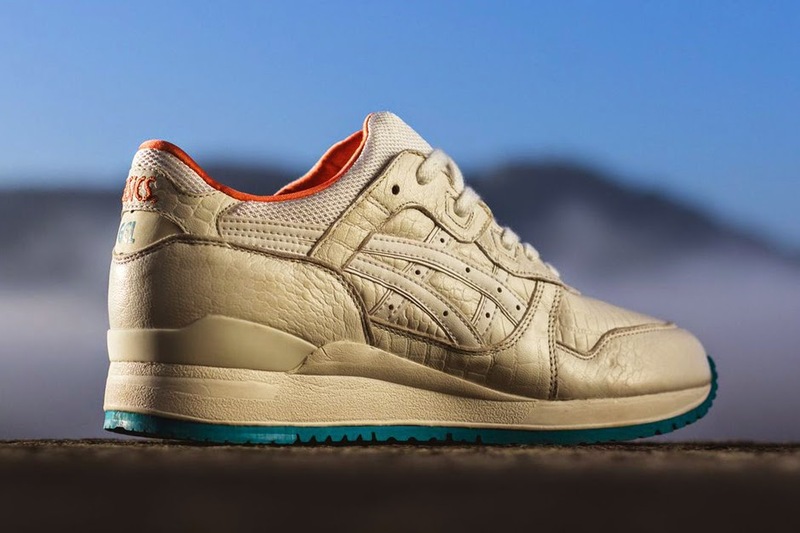 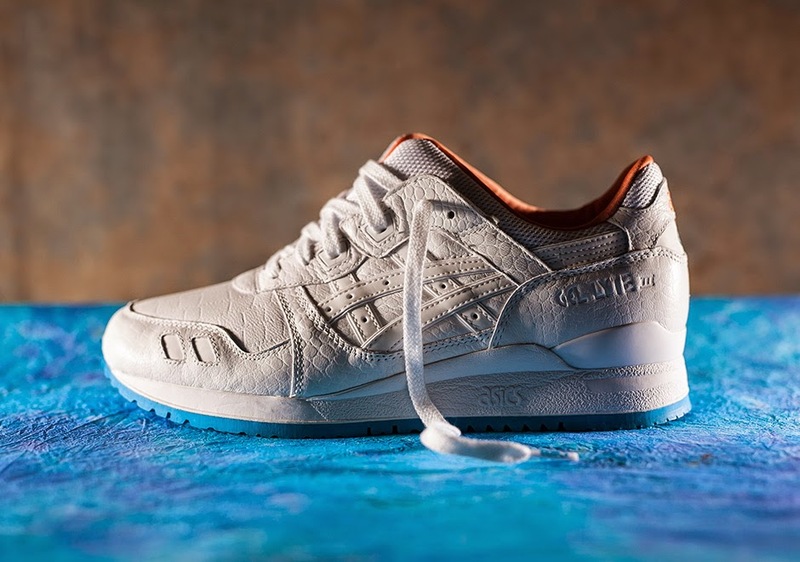 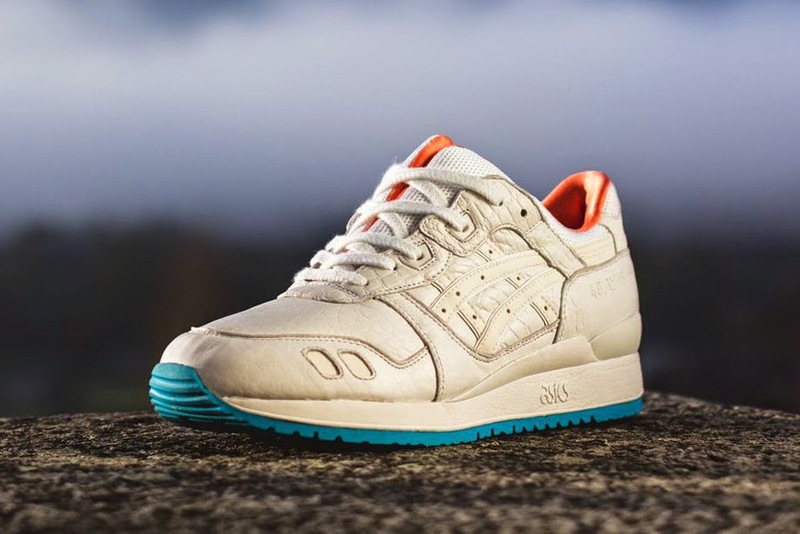 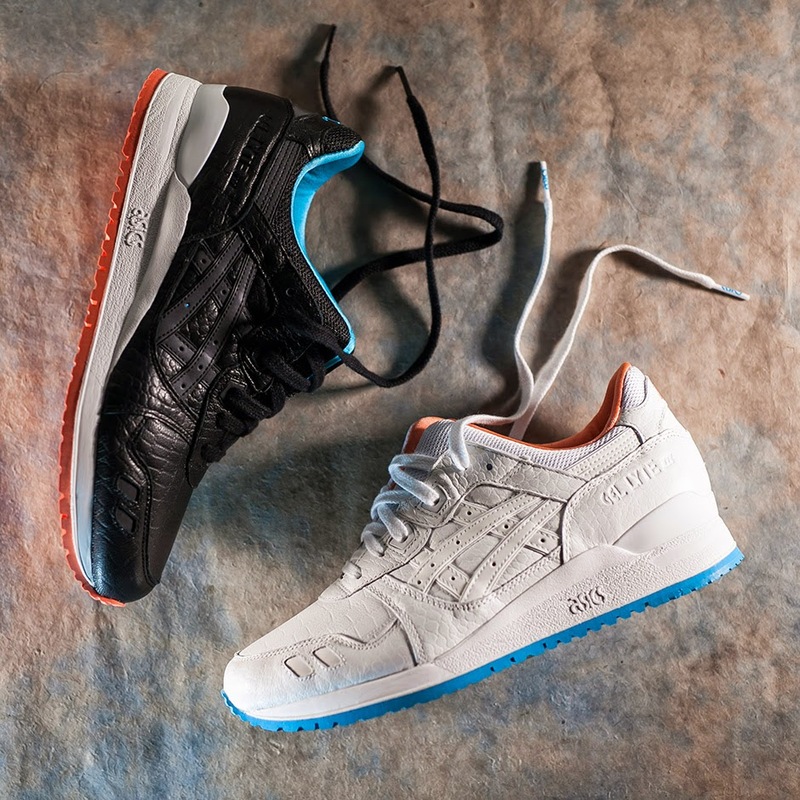 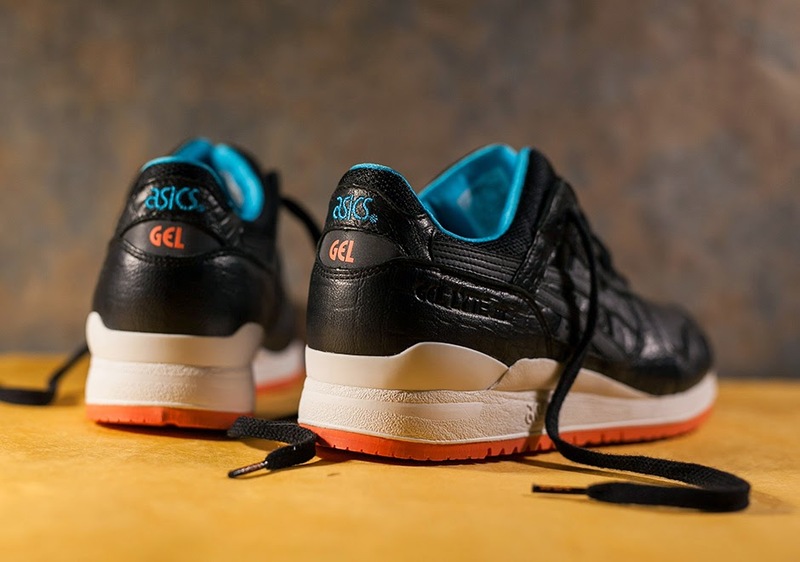 ASICS present their 'Miami' inspired release, delivering a Crockett and Tubbs duo of premium executed Gel Lyte III's in exotic yet refined styling. 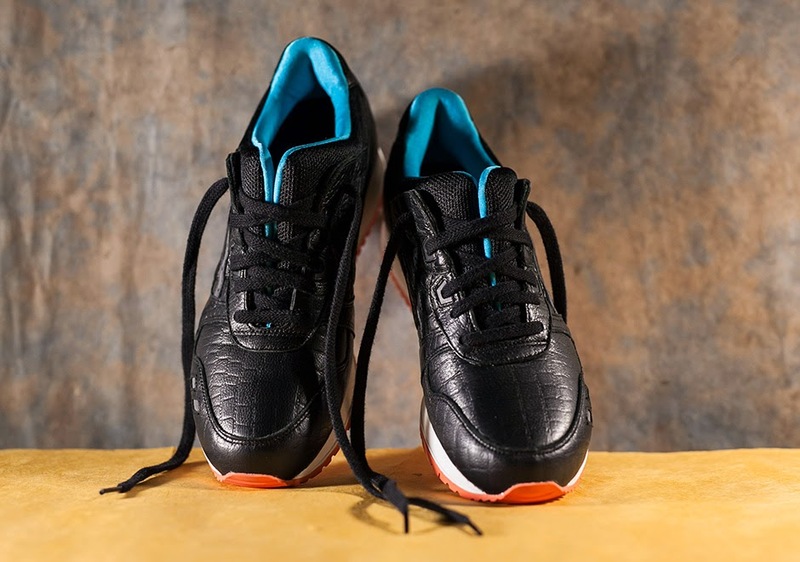 With classic Gel cushioning and signature Split tongue design, the 25 year old sneaker is rendered in a monochromatic croc embossed leather with micro-mesh tongue and a neoprene sockliner. 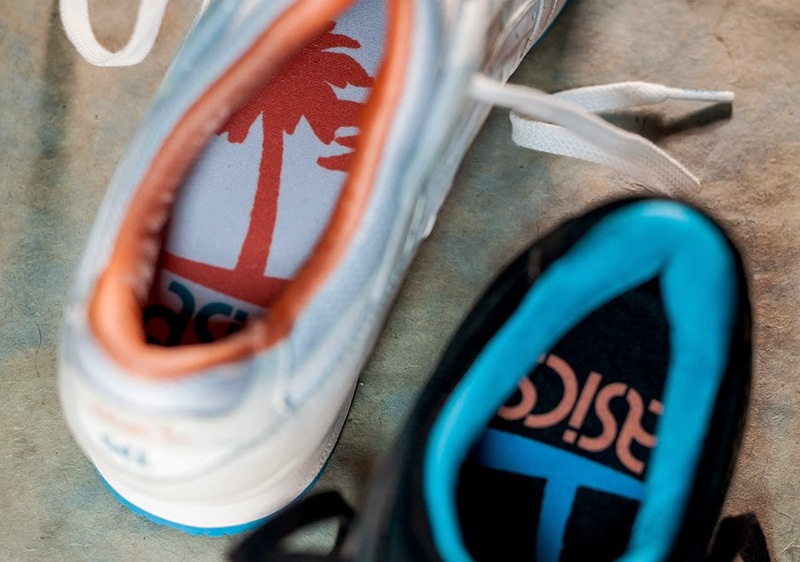 Allusions to the Florida keys are called out in the turquoise lining and sand orange outersole while the Palm tree graphics extoll beachside vibes. 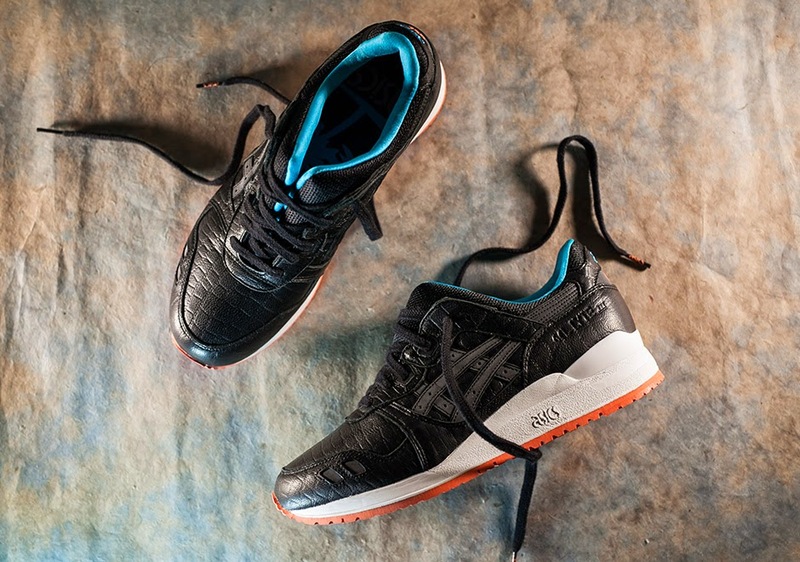 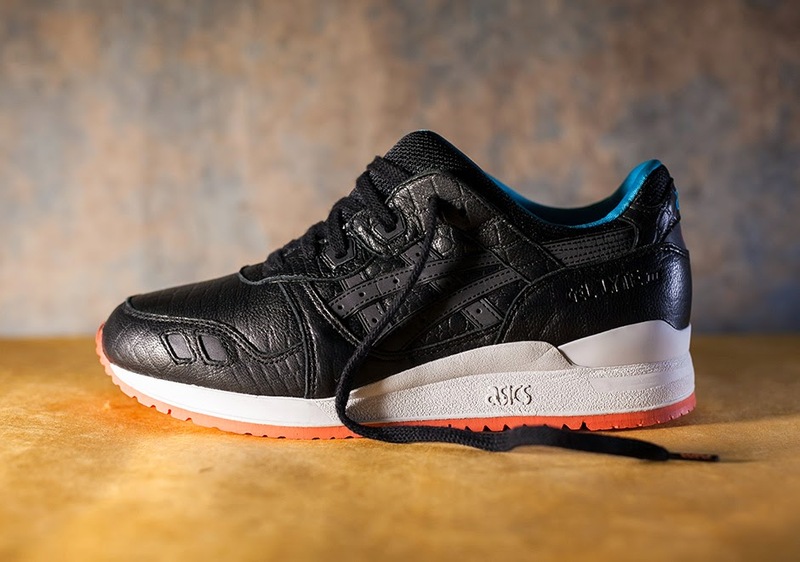 Finished off with blacked out reflective detailing on the stripes, the Miami Gel Lyte III harks back to Daytona Spiders and Testarossa's blaring Phil Collins out the speakers.